Why are the Minor Prophets called ”minor?” Who are these men and what was their purpose in writing their books? The reason we call them the Minor Prophets doesn’t mean that their messages are minor. Indeed, these “minors” major in the major prophecies as we will see. The Minor Prophets are not called minor because they are unimportant but because of the size of their books. 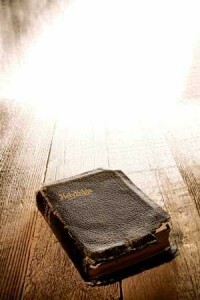 Prophets like Jeremiah, Isaiah and Ezekiel have large books and so these prophets are called the Major Prophets only because their books are larger, not because they are more important. The prophets of the Old Testament do not appear in chronological order but they are ordered in their sequence because the larger books of the prophets came first, just as in the Epistles or letters of Paul where not written in chronological or time-sequence order but according to their length, like Romans and 1 and 2 Corinthians come before the shorter books of Philippians and Ephesians. The reason we call them the Minor Prophets doesn’t mean that their messages are minor. Indeed, these “minors” major in the major prophecies as we will see. It is interesting that there are twelve prophets because that was the number of disciples and later, apostles and there were also twelve tribes of Israel. The number twelve in the Bible is associated with governmental perfection and sometimes relates to God’s divine authority or sovereignty. Here is a list of each of the twelve Minor Prophets in the order that they appear, not in the order in which they were written, and the major implications of their books. You might also notice that the prophet’s names have similar meanings to their messages, like Hosea prophecies about salvation and repentance and that is what his name means. Hosea’s name means “salvation” and his book was written primarily to the Northern Kingdom and as his name suggests, he seeks Israel’s salvation by repentance, otherwise they face destruction and captivity, which eventually happens when the Assyrians invade and take the Northern Kingdom as slaves. The same problems that Hosea dealt with are those that seem to be present in today’s secular world; syncretism and idolatry. Syncretism in the fact that there are a hodgepodge of mystery, false and cult religions and there is idolatry in the sense of people making entertainment, pleasure, or self the central focus of their life. The parallels of the Northern Kingdom and nations today are that there is a decline in the worship of God, of religion, and in increase in political, social justice, and moral depravity. Read the Book of Hosea and you will see similarities to many nations of the world today and the fate could be similar to that of the Northern Kingdom. Joel’s name means Jehovah or Yahweh is God or Lord. The main focus of the Book of Joel is the coming Day of the Lord. He writes about a coming judgment or destruction of the land’s vegetation by locusts. Whether these are real locusts and they devour crops in a time of drought or they are implements of war, we cannot be certain. Joel speaks of a “day of darkness and gloom, a day of clouds and thick darkness” (2:2) but he also describes the judgment of the nations for crimes against His people (3:2-19). Although there appears to be a parallel between Israel being attacked and Christians being persecuted, the message seems to be specifically sent to the unrepentant nation of Israel, although many principles have application to those outside of the stock of Israel. God seeks to have His people return (repent) to Him with fasting, praying, and weeping (humbling themselves) before Him (1:13-14; 2:15-17). Amos’ name means “to carry” or “born (carried) by God.” He primarily prophesied to the Northern Kingdom who had become comfortably wealthy and began to have a false sense of security. Amos focused on two areas of sin in both the Southern Kingdom (Judah) and the Northern Kingdom (Israel). Two of the greatest sins that were occurring in the Northern Kingdom are also prevalent today, such as social injustice and idolatry. There is so much corruption in governments of the world and this corruption leads down to the most remote small, rural towns. The idolatry of pleasure and prosperity takes the place of God because money can sometimes take the place of God and provide; security, food, and pleasures…but it is a false sense of security and that are what Amos tries to warn these nations about. Obadiah means “servant of God” or “servant of the Lord.” Obadiah tries to reassure Judah that Edom’s vicious and deadly attack against them will be avenged by God Himself. This was written because Judah’s faith was very weak and God wanted to ensure the nation that He still cared for His people and that He is always at work for them, even during evil times such as this time period. Today, the church faces growing persecution and believers need to turn to this book for reassurance that God will never leave them and that He will judge believer’s persecutors in due time. Jonah’s name means “peace” or “dove” of which a dove is symbolic of. Jonah shows us that you cannot run and you cannot hide from God or His express, divine will. There is no place to hide, nowhere to run, where God is not at. Jonah resisted until he was trapped in the belly of a great fish and even then he resisted wanting to save Nineveh because Nineveh was one of Israel’s worst enemies and bitter rivals and those were the last people on earth that Jonah wanted saved. The lesson here for Christians may be that God desires all to be saved and even those who have been our enemies are people that God seeks to save and since He has compassion for them, so should we. Micah’s name means “who is like God?” The answer of course is no one is like God. He alone is transcendent. Micah’s message was that the great disparity between the very rich and the very poor was a judgment against them. Greedy landlords (2:1-5) and political corruption had caused the entire nation to be morally bankrupt (6:9-16; 7:1-7) so God rose up the great nation of Assyria to be His rod of correction to bring the nation under His righteous judgment. There are great similarities between ancient Israel and Judah and the nations today. Nahum’s name means “comfort” or “comforter.” Nahum’s message was designed to bring a voice of relief, comfort, and joy for those who had been suffering under the hand of oppressive nations. These merciless nations will not go unpunished and this book is intended to comfort God’s people with the fact that no crimes against them have escaped His sight. Most assuredly God will avenge His people and the relevance for believers today is that those who despitefully use us, unfairly accuse us, and shamefully abuse us will be dealt with by God so we must leave vengeance up to Him (Rom 12:19; Duet 32:35). This minor prophet’s name means “embrace.” What a comforting thought it is that God wants to embrace us during great trials and that we should embrace His Word. Habakkuk is consumed with a burning desire to proclaim the glory of the Lord. Habakkuk reminds the readers of Jeremiah’s book because of his deep concern for the wayward people of Israel which had turned their back on God and on His covenant. Habakkuk gives hope because of the certainty of God’s coming (3:3-7) and the assurance that He will judge the nations that are opposed to His purpose (3:8-15). This prophet’s name means “hidden by God.” The book begins with a universal declaration that judgment is swiftly coming and that the remnants of Israel and other nations will be saved in that day when He returns (3:9-13) and like Romans 8:28, that even the evil things that occur can be used to accomplish God’s will. Even though Zephaniah speaks about a day of gloom and doom, God will save all who call out to His name and a remnant will be saved (3:11). Haggai’s name has a much different name that most of the prophets. His name means “festive.” Why festive? God does not name His people or prophets without purpose and so Haggai optimistically calls on His people to repent and rebuild His holy temple because the sovereign God desires to be worshipped and He is most worthy (1:8). God is concerned that His people have lost the desire for God’s presence. Haggai writes in the hopes that God’s people will repent and then rebuild the temple and only then will God’s presence return to them. Haggai wants to remind God’s people that He desires to have a relationship with them (2:4-5). The name of this prophet is a reminder to God’s people that He will not forget His own, as Zechariah’s name means “remembered by God.” Zechariah is one of the prophets whose book mentions language that suggests a coming Messiah (2:5, 10) and even the coming of the Christ into the city riding on a colt (young donkey) which is fulfilled in the New Testament (9:9-10). Zechariah’s language is that the interwoven nature of the present and the past cannot be separated and for this reason it makes it difficult to determine in portions of his book whether he is writing about things present or things to come. Malachi’s name means “my messenger” and by the word “my” he means God’s messenger. This last book in the Old Testament is like a final warning or parting shot to Israel that the great and terrible day of the Lord is coming (4:1-2). God is angry with the fact that His people are robbing Him of His tithes and offerings and also those they are not paying the laborer their due wages (3:1-8). Malachi also gives the prophecy that Elijah will come again just before the day of the Lord (4:5-6). This was fulfilled in the coming of John the Baptist who came in the spirit of Elijah preaching repentance (Mark 1:4; Matt 3:1). One thing is certain and that is the fact that all of these prophets testify that the Lord is coming again but this time it will be to judge all of those that refuse to repent and trust in Christ. For the unrepentant, it will be swift and sudden judgment. There will be no second chance. Time may be short. If Christ returns at this moment or the next, and a person has not trusted in Christ after repentance, this doom will be too terrible to even describe with words (Rev 20:11-15). I am certainly no prophet but I can assure you that all of those who refuse to bend the knee today will bend it someday. We will all stand before the Lord to give an account for our lives. Jesus Christ is coming again and He will either be your Savior or He will be your Judge.